Looking for information about sensory processing? Tired of looking through countless books and online resources to piece together what you need? With a sea of information out there, it’s no surprise to that printable information about sensory processing has become so appealing to our readers.If you’re a therapist, teacher, or other professional, printable sensory resources (along with some other creative strategies) can help you effectively communicate suggestions and information to your whole team. Parents also benefit from having easy access to printed materials so they can share information with their children’s family members and caregivers in a plain and simple way. Sometimes the hardest part about the hunt for information is knowing where to start the journey. 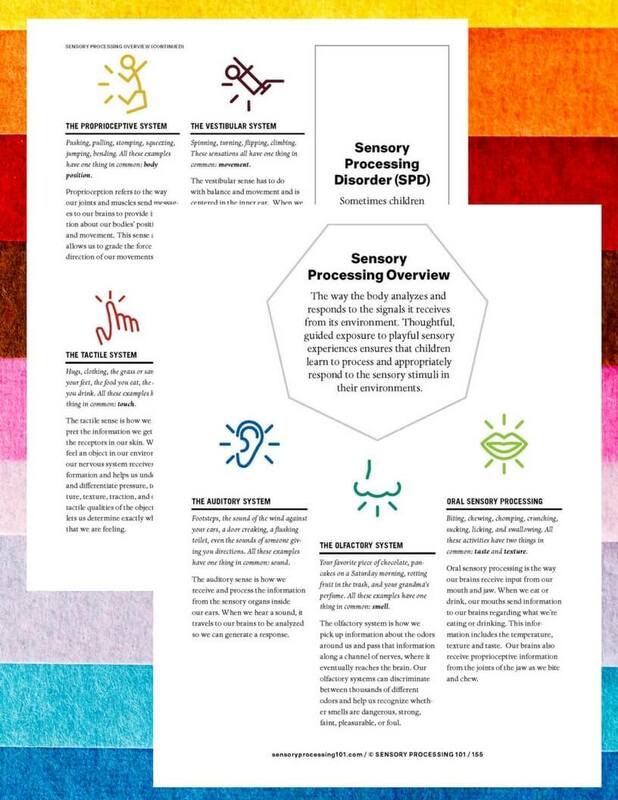 Now, you can get your FREE printable sensory processing overview cheatsheet! This simple, two-page cheatsheet is a great way to get a better understanding of the Magic 7 senses and gives you a clear and easy way to share the information with others. It's Not Just for "Special Needs"